The professor was Henry A. Ward (1834-1906) and although he taught geology from 1860-1869, his real interest lay in bringing the natural sciences to a much wider audience. 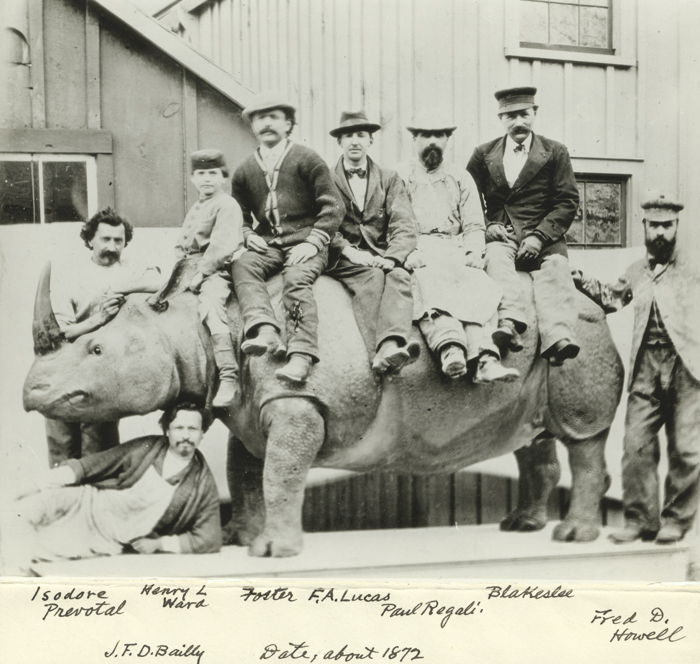 Called "King of Museum Builders" by William T. Hornaday (credited with saving the American bison from extinction, first director of the New York Zoological Park, and one-time employee of Ward), Ward and his company, Ward's Natural Science Establishment, supplied "Scientific Cabinets"—carefully selected collections of specimens housed in glass cabinets—to over 100 museums, colleges, and universities in the United States. 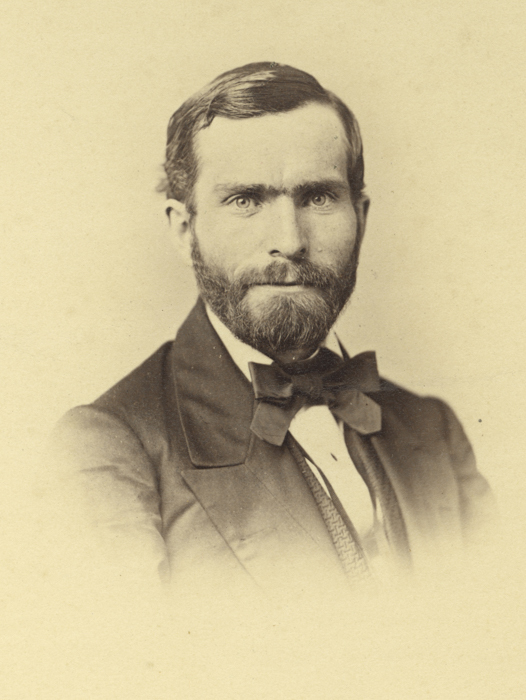 The papers of Henry A. Ward and his company (Ward's Natural Science Establishment) are some of the most heavily accessed in our department. Inquiries, and researchers, come from all over the world to track down the history of collections and individual items sourced from Ward's. 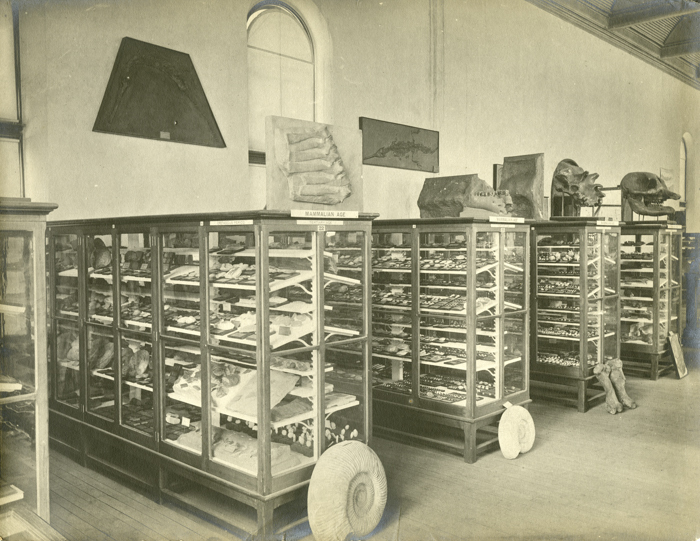 It had long been thought that the materials which were purchased by the University beginning in 1862 to form our own Natural Sciences Museum--biological, geological, and paleontological--had been lost to time. But in 2013, a call from Biology professor Robert L. Minckley brought the news that there were specimens stored in Hutchison Hall, and to ask what the manuscripts, catalogs, and photographs in Rush Rhees Library could reveal about the origins of these species. To create an online project which could unify the papers and the specimens was a natural evolution -- to use the website as a means of enabling other institutions to virtually add their materials and thus re-create Ward's inventory means that researchers will be able to compare their historic holdings but also to measure them against modern descendants. Today in Hutchison Hall there are specimens again on display and in laboratories where they can be studied. Just as Ward's made models and casts of fossils so that many institutions could use the same item as part of a study collection, now 3-D scanning, and printing, is safely bringing fragile materials back into the classroom. Rare Books, Special Collections, and Preservation, the River Campus Libraries' Digital Scholarship Lab and Metadata Creation Services, and the departments of Biology and Earth and Environmental Studies are pleased to report that the website for the Ward Project is live: wardproject.org.